Have a flat tire don't look any further. We can provide you with top quality tires and mechanics. If a driver fails to heed or notice the warnings and drives beyond the zero-pressure range or above the speed limitation, the tire can begin to disintegrate, with the same destabilizing effects. Additionally, if the puncture occurred on the sidewall or if the tire hits a large object, the driver would have to call a tow truck. The J.D. 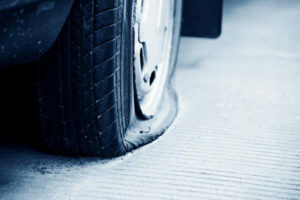 Power study found that "customers with vehicles equipped with run-flat tires are nearly twice as likely as those with vehicles equipped with conventional tires to have to replace a tire due to a flat or blowout."